I am sure by now you have read parts one and two of this series. If not, you might consider reading those before moving on to this post. Go on, we’ll wait for you (we are knitters & crocheters…we always have something to keep our hands busy while waiting). 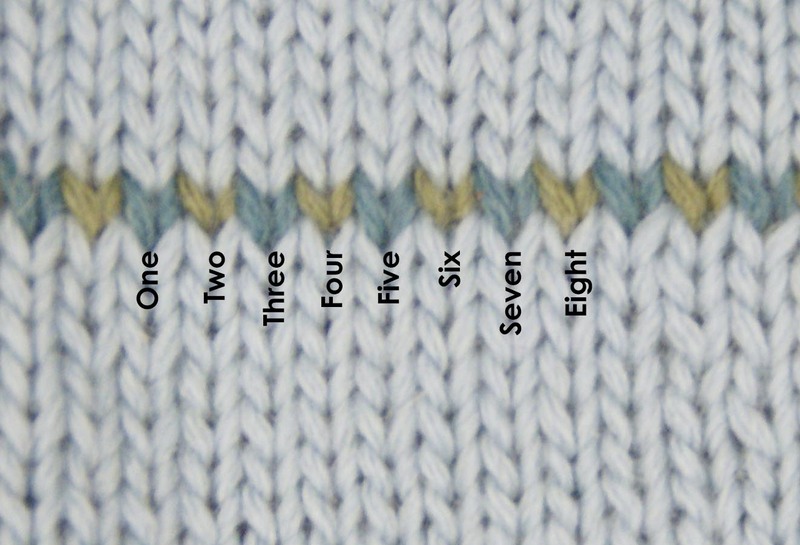 In today’s post we are going to talk about the part of gauge swatching that confuses the best of us – how to adjust your needle/hook size to get your required gauge. For the first example, I am going to talk about what to do if your gauge is too small. Let’s say you are working with a pattern using Kumara and it calls for 4.5 stitches to an inch. However, your swatch is telling you that you are getting 5 stitches to an inch. In this case you will want to make your stitches bigger, so you will want to use a bigger needle/hook. On the other hand if you are working the same pattern and instead on 4.5 stitches you are getting 4 stitches per inch, you will want to make your stitches smaller. And therefore use a smaller needle/hook. When adjusting your gauge and trying different size needles, keep in mind that a small change will make a big difference. In this instance, I would go up only one needle size when working the next gauge swatch. If for some reason you are really off (at least a stitch or more per inch), you might try jumping up/down a few needle/hook sizes. Also keep in mind that you will want to repeat the whole process outlined in the second post in this series. I know knitters who work several swatches before washing them, so they can figure out which needle to use in one swoop. If you do this, PLEASE make sure to tag each swatch as you work it. How angry at yourself would you be if you had to repeat the process because you lost track of which swatch you made with the US 7s and which one you made with the US 8s? One good way to do that is to tie knots onto the tail of your cast on the correlates with your needle size. Another way is to work some YO, K2tog on the first row of your swatch - so if you are using a size 7, you will have 7 holes on the bottom of the swatch. I know that this process can seem really bothersome...believe me I know. 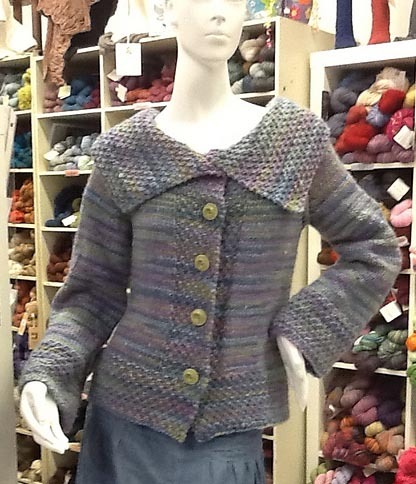 I personally am a product knitter and have been known to rip apart sweaters that I had not only finished knitting, but had also sewn together, because it didn’t fit me right. Nine times out of ten it is because I didn’t take the time in the beginning to do a proper gauge swatch. I had no one to blame but myself and I hope I can save you some of the same frustration. In an earlier post, I explained what gauge is and why it is important. Today, I want to talk about creating a gauge swatch and measuring it. Grab your ruler and calculator and we’ll get started! 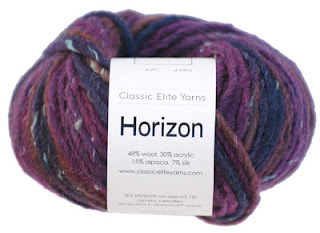 Most you have seen a yarn label in the past, so you already know that it provides a wealth of information - the name of the yarn, fiber content, yardage, color number, dye lot and of course the recommended needle size and gauge. However, the recommended needle size and gauge is meant to be a jumping off point and not set in stone. As I said in the earlier blog post, we are participating in hand work, so everyone’s gauge will be slightly different. When you work your gauge swatch you will want to use the same techniques and tools that you will be using in your finished product. If you plan on making a garment in the round, your gauge swatch should also be worked in the round. 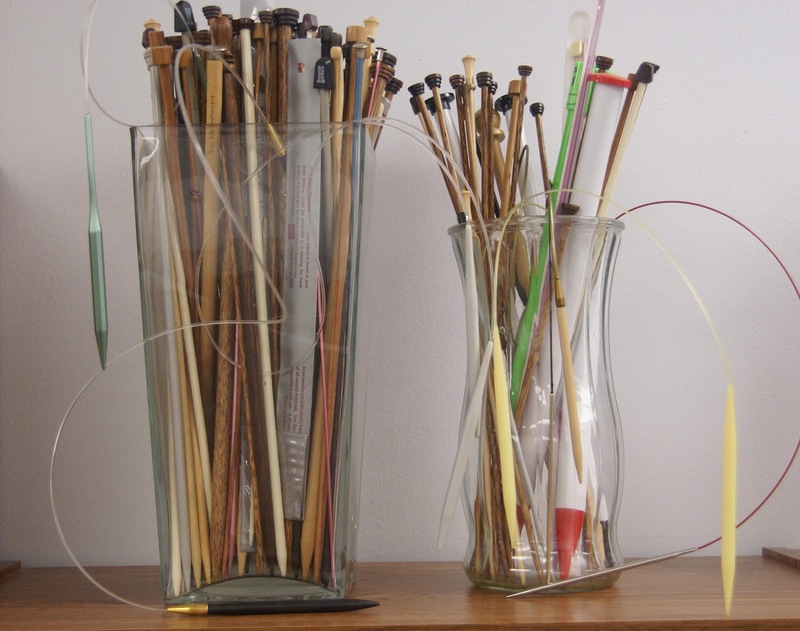 If you are going to be using metal needles, don’t swatch with wooden ones. You plan on using circular needles? Don’t use your straights to swatch. All of these things can affect your gauge. Some patterns that use more than one stitch pattern may ask for a swatch in either the pattern or stockinette, and some recommend both. 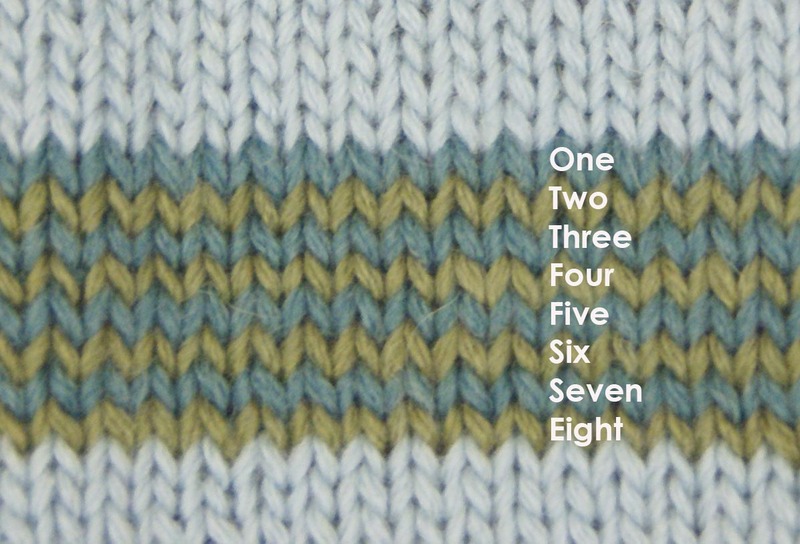 It is a good idea to do both stitches, as you may have different gauges for each stitch. Most patterns will tell you that the recommended gauge is measured within a 4 inch square (or for our metric friends 10 centimeters). So most knitters (and I am guilty of this as well) will calculate how many stitches they think they will need to get the 4 inches and cast on that amount. 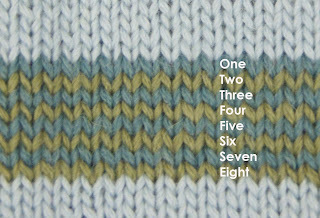 Then they will knit about 2 ½ inches and measure the swatch while still on the needle. This is a great starting point to see if you are going to get close to gauge, but not the correct way to make sure you are getting proper gauge! In fact, you will want to make your gauge swatch AT LEAST 6 inches wide. Now what do you need to do to see if you are getting proper gauge? Work a few rows in garter stitch (knit every row), and then you can start your pattern stitch, with 2 stitches on each side in garter. For this example we are going to use stockinette stitch, so for our right side rows we can knit across, but on the wrong side rows, we will k2, p27, k2. We will repeat these 2 rows until the swatch measures about 6 inches, work a few rows in garter stitch and then loosely bind off. I’ll bet your thinking “Great! I can finally measure my gauge.” Not quite yet. There are a few more important things, and these are even more crucial than the knitting. First you need to wash you swatch. You are (hopefully) eventually going to wash your garment; in my humble opinion it is better find out now how the yarn will react to water. This is especially true for fibers that have a reputation for stretching, such as cotton and linen. Just like you did when you chose the tools to make your swatch, you will want to use the same tools to wash your swatch. If you plan on washing your sweater by hand, then wash it by hand. But if you plan to use the gentle cycle on your washing machine, it would be a good idea to use the machine to wash your swatch. Next, you will need to let your swatch dry. And just like before, you want to dry it the way you plan on drying the finished object. I recommend laying your swatch (and your finished pieces) flat to dry and pinning them slightly. However, if you plan on throwing it in the dryer on low, this is the time to try it. Once your swatch is dry, you are finally (finally!) ready to start measuring. You want to lay your swatch on a smooth hard surface. 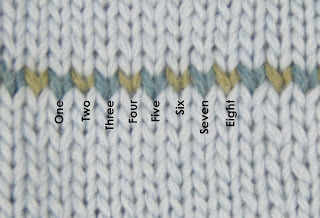 Using a ruler, measure four inches across and count your stitches and rows (see the pictures below). Divide each of these numbers by four. Once you have those numbers you have a swatch that should accurately represent your gauge. I can hear your mind working and I know what you are going to ask next. “What if my gauge doesn’t match the requirements in the pattern?” That’s the next post in this series, so stay tuned. Gauge. Many knitters and crocheters cringe when they hear or read that word. But it really is one of the most important parts of our crafts. It can make or break your finished object. Merriam-Webster’s dictionary defines gauge as “a measurement (as of linear dimension) according to some standard or system.” Ummm…ok. But what does that mean for us? In knitting and crocheting, gauge means how many stitches and rows per inch you are achieving with a particular yarn and needle/hook size. I can't emphasis the word YOU enough in that statement. Because knitting and crocheting are done by hand, everyone’s gauge is personal. For example, I happen to be a really loose knitter and usually have to go down two needle sizes from what is recommended on a yarn label. 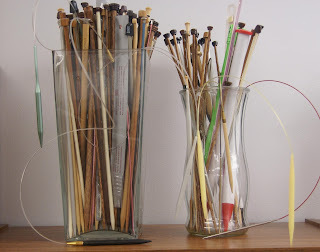 Whereas someone else that “knits to gauge” will probably use the recommended needle size. And a third person can be different still and knit tighter than the recommended gauge and have to go up a needle size or two. Ok, so now that we know what gauge is, we need to understand why it is important. When you are going to knit something (especially something that is meant to be worn – whether it is fitted or oversized), you need to know how big to make it, right? If you are not getting the required gauge for a particular pattern, and you go ahead and knit the sweater in the size you would normally make, when you are done with alllllll that hard work, your sweater won't fit, which would be really frustrating! There are a few times when gauge isn't as important. 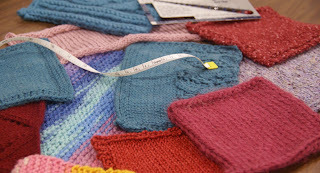 Such as things that can be flexible on size - scarfs, shawls, rugs, blankets, etc. However, I still recommend doing a gauge swatch to get an idea of how big your item is going to be. You wouldn't want to start an afghan, work a few rows only to find out you have only cast on enough stitches for a baby blanket, or vice versa. It is important to check your gauge with every project you do, even if you use the same yarn for a different project or you use the yarn that the pattern calls for. There are many things that affect our gauge…needle size, needle construction (straight vs. circular, wood vs. metal), stress, how we hold our yarn and much more. And not to mention your gauge can change over time. In upcoming posts I will talk about how to measure your gauge and how to adjust your needle size to get the proper gauge.